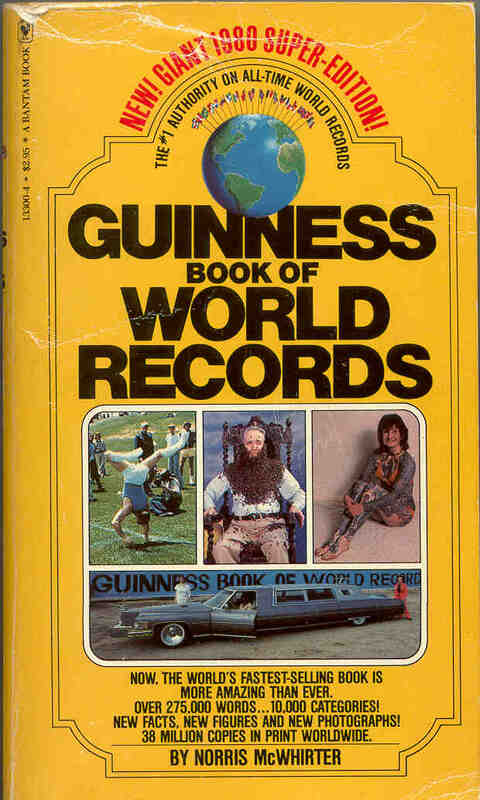 The World Champion largest number, listed in the last Guinness Book of Records is an upper bound, derived by R. L. Graham, from a problem in a part of combinatorics called Ramsey theory. 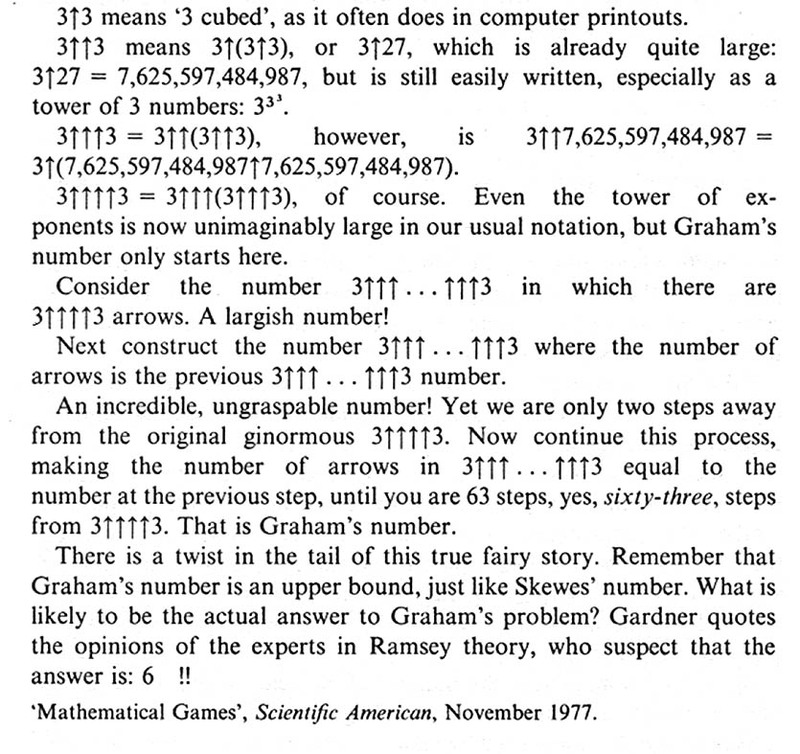 Graham's number cannot be expressed using the conventional notation of powers, and powers of powers. If all the material in the universe were turned into pen and ink it would not be enough to write the number down. 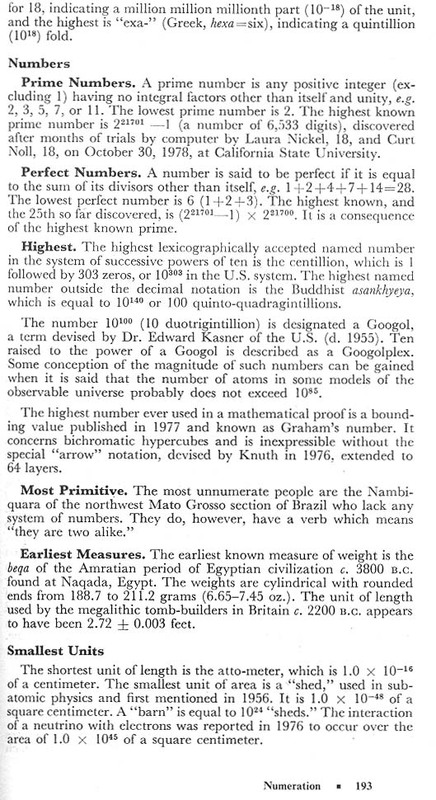 Consequently, this special notation, devised by Donald Knuth is necessary.